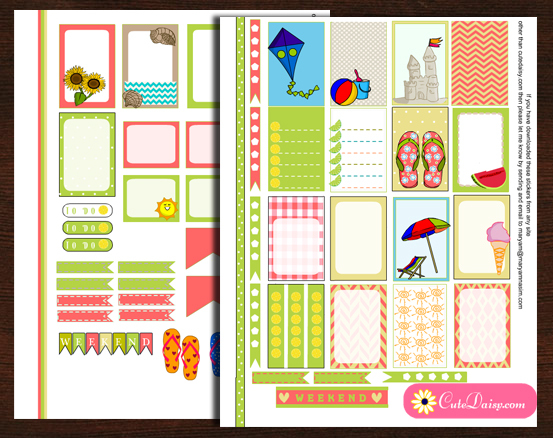 This is the first set of stickers that I have made for The Happy Planner Recipe Organizer and I hope you’ll like these. 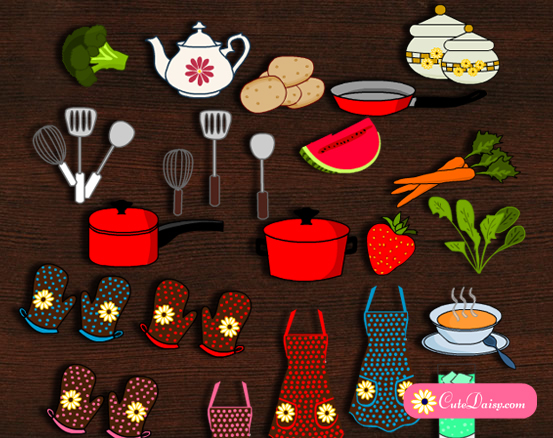 I have made cooking pans, pots, spoons,teapot, aprons, mitts, potatoes, broccoli and a few more very cute stickers that you can use to decorate your recipe planner. All these graphics are my original creations and are only for personal use as planner stickers. Please do not use these in any other way. 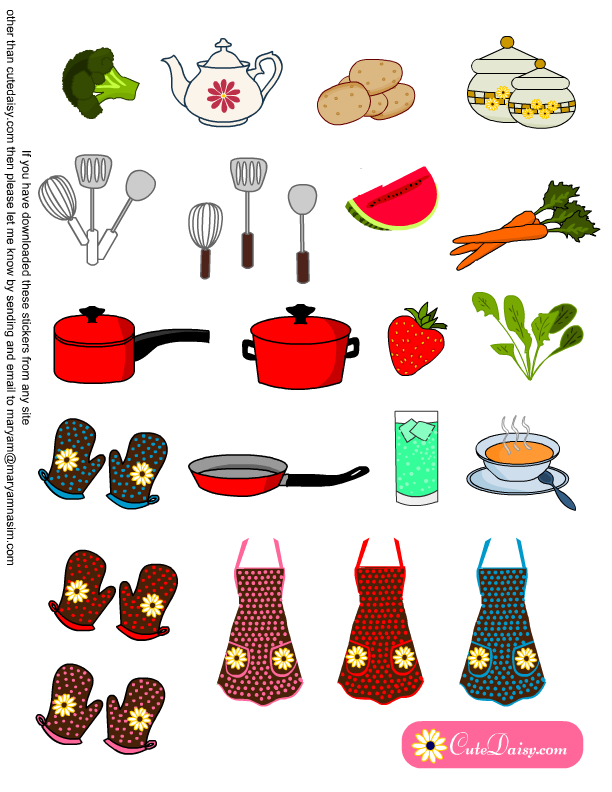 You can also use these free printable fruit washi tapes to decorate your recipe planners. Click here to download the PDF file for these stickers. 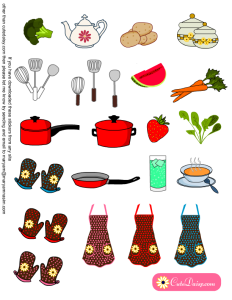 I love these food and cooking related stickers, I hope you’ll like these too. 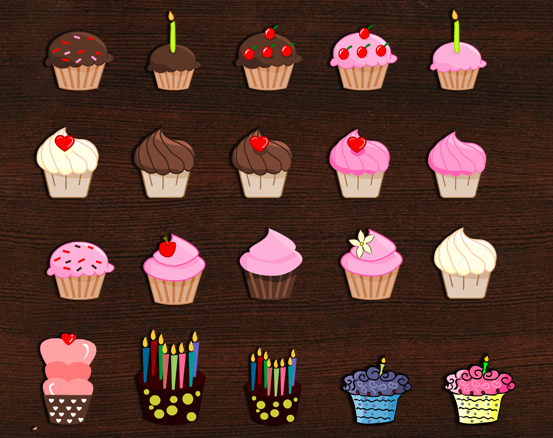 These are very cute stickers! Thank you so much for sharing your beautiful work with everyone! I hope you have a very Merry Christmas! How perfect for the recipe planner!! These are the cutest stickers and I have not seen any that are as nice as yours!! 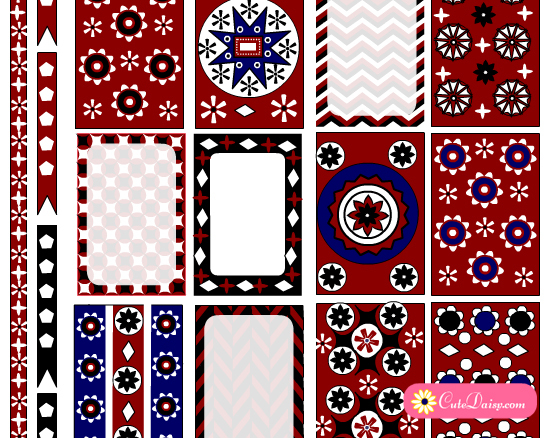 Thank you so much for all your hard work making these printables for us! Have a very wonderful season of joy and happiness! Can’t wait to get home and print these out! Thank you so much! These are so cute, and will go perfect in my new recipe planner I got for Christmas. Thanks so much for taking the time to make them, we appreciate it! Thank You so much for sharing your beautiful stickers. It sure has help me. I am a newbie.